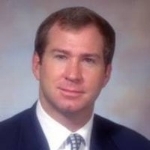 Bob is an Atlanta native and began his real estate career in 1997 after the sale of a family business. He spent four years as a corporate real estate advisor at Julien J. Studley Inc. prior to joining NAI Brannen Goddard as an equity partner in 2001, where he served as Senior Vice President. His real estate activities have included corporate relocations, lease restructuring, business tax incentive negotiation, real estate and energy finance, monetization of tax credits and investment sales. Additionally, Bob consults for a number of companies offering his expertise in identifying strategic partnerships, raising capital and placing capital into real estate, technology, timber resources and alternative energy projects.